We are proud to offer our own in-house bakery, featuring the best in homemade pies, cakes, pastries and other tempting desserts. 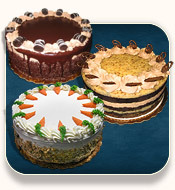 You can see photos of our cakes and pies by clicking the links below. 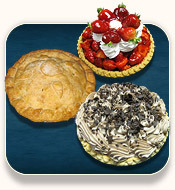 As a convenience to you, our fresh-baked pies can be ordered online for in-store pickup.